All parts of coriander are edible - the roots, stalks, leaves and finally the seeds. The leaves are used in Chinese, Thai and Mexican dishes to give that spicy hit and the chopped root can be included in dishes that require more cooking and also for marinades. Coriander seeds is usually powdered and used in both sweet and savoury dishes. There are several varieties of coriander - the one usually available in the garden centre is especially grown for it's dark green foliage and good pungency and, in some cases this is a slow to bolt strain making it longer lasting this coriander will grow to around 60 centimetres. There are also varieties grown just to harvest the seed for cooking as they have less leaf and will bolt very, very quickly to produce their flower heads. Many of us really struggle with growing coriander, but lets hope by using some of the following tricks we will have more success! The most common reason that coriander bolts is because of changes in weather... yes. If it turns cold to hot or the reverse the plant decides its time to send up some flower heads from the centre of the plant. This often happens when the plant is transplanted from one pot to another or from a pot to the garden. 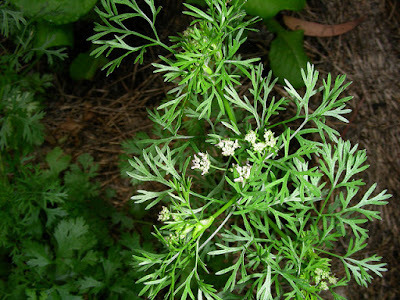 There are several ways to grow strong and healthy coriander without it bolting to seed. The first is to choose the plants at the garden centre carefully. Plants that are labelled as slow bolt coriander will be more uniform, slower to produce flower heads therefore producing leaves for much longer. Also, choose pots where the seeds have been direct sown straight into the pot. This is obvious if the pot has seedlings growing over the total surface of the soil and not just directly in the centre. Finally, buy your plants when they are just a few centimetres tall so that the coriander is less established and more likely to cope with transplanting. Don't be tempted to plant the pots found in the supermarket - these will not enjoy the transplanting experience and will bolt very quickly. Perhaps the best way of achieving a continuous crop of coriander is to direct sow it in a bowl shaped pot which is at least 25 centimetres across. Fill it to about three centimetres from the top with a premium potting mix that contains slow release fertiliser and wetting agents. As the seeds are so small, mix with some sand (3 parts sand 1 part seed) so they'll disperse more evenly. An interesting fact with coriander seeds is that each seed produces two plants! Spread a centimetre of potting mix and water gently with a seaweed solution. (A relative of mine says that seeds do not need seaweed until they germinate as they have all they need within the seed to germinate..... interesting, you make up your own mind). Place the pot in a warm, but sheltered position and in a matter of days the coriander seed will have germinated. When it has reached two centimetres tall, move the pot into part sun to encourage the growth to be strong and the leaves more flavoursome. On the Coffs Coast coriander is best placed in dappled sun all day as they are such delicate little souls they don't enjoy the combination of shade or full sun. 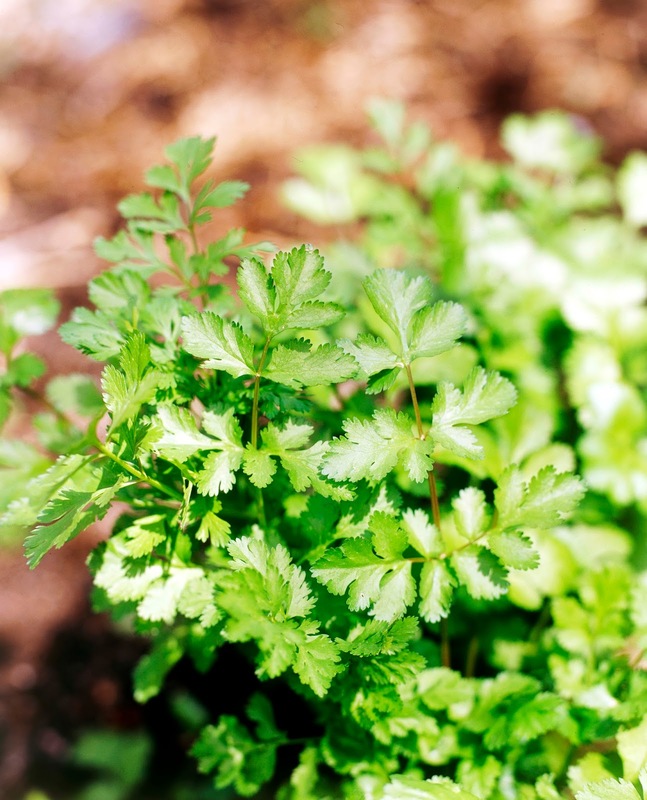 Pests and diseases are not an issue with coriander but regular watering with a seaweed solution and organic liquid fertiliser is paramount to maintain vigour. Harvest at least weekly to keep leaves coming. Shear from a different section of the container every time, rotating the pot as you go and never letting plants in any area to mature. By the time you get back to the first section harvested, new leaves will have grown. By seeding a new pot every three weeks or so, you should have a plentiful supply of coriander during the warmer months.